Sports in India is emerging as a growing industry with numbers proving the fact across all avenues such as professional sports leagues, manufacturing, sponsorship, marketing, broadcast and major multi-crore endorsement deals for leading sports icons. According to industry estimates, India contributes a minuscule 0.35% of the $700 Billion global sports industry. However, the growth drivers are on the positive side of the numbers and slowly catching up to have the nation reckoned among the sports superpowers. The commercial growth of sports sector has also opened gates of opportunities for skilled professionals. The opportunity has given rise to professional sports management companies, event organising companies, sports and physical education curriculum providers, and professionalised sports teams and leagues in India. There has been a huge upsurge in the demand for trained professionals who can work in the multi-dimensional Indian sports business ecosystems. The need of qualified professionals has led to the birth of numerous ‘sports management’ colleges in India. Are these institutes good enough to produce global level sports management professionals Indian sports ecosystem needs? 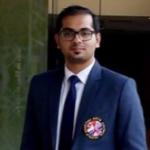 “No”, says Indian Super League club FC Pune City CEO Gaurav Modwel, who will now also pass on his skills and knowledge to the next generation of Indian sports managers as the career mentor at the Global Institute of Sports Business (GISB). 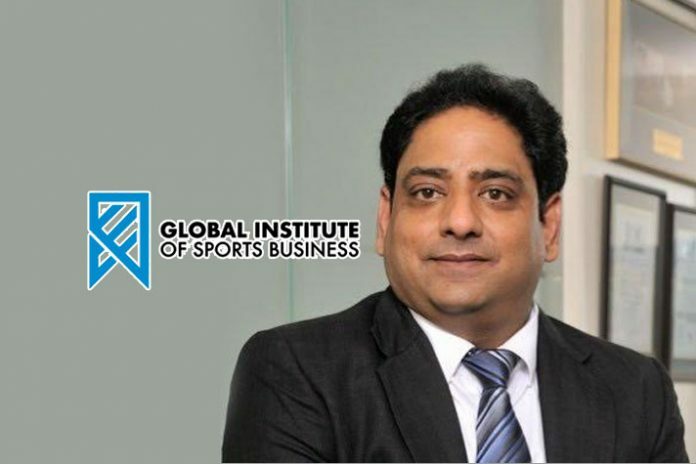 GISB has been launched by the Indian-based sports management company India on Track, in association with the Instituto Superior de Derecho y Economía (ISDE), Madrid, Spain. The institute will begin with its first batch for its flagship program GISB-ISDE Certificate in Sports Management, a full-time 20-unit intensive, informative and experiential higher education course specializing in the business of sport. The 15-month program will be one of the few internationally certified Sports Management courses available in India. In a candid conversation with InsideSport.co, a confident Modwel shared the GISB vision, philosophy, curriculum and pedagogy to bring out the next-gen sports management professionals, equipped well to lead India’s cause to be a sporty nation. Insidesport: What is the GISB vision for Indian sports? What key areas have your identified where our sports managers are lacking? Gaurav Modwel: There is absolutely no quality sports education available in the country. There is no sports management institute that can match the top global institutions in education and curriculum. The rapid growth in the business of sports in India needs quality professionals. Bright minds need to be groomed and trained to meet this growing demand. Considering the inflexion and potential humongous growth over the next 10 years, the sports industry in India will need professionals who are well trained, qualified and sharp minded. These people need to be picked now for requisite education, training and experience to make them competent sports managers in the coming 5, 6 or 8 years. Ironically every time we talk about the sports industry, we discuss lack of infrastructure, lack of sporting culture, improper sports’ budget allocation, the federations not doing enough and other myriad facts. But for all of that to change, we need good minds. We need people with solid integrity, quality training to come forth and take those policy decisions, make plans and then execute them. GISB is determined and well equipped to play that catalyst to fill that major void. That is the role we envision to play. IS: How will GISB be different than numerous sports management institutes in the country? What is your USP? GM: I thank these institutes for starting something like this. GISB, however, has a very different philosophy and vision. Sports industry in India needs much more than whatever it has been getting in terms of sports management education. There are very important, but ignored, tenets that we are trying to build in GISB. Quality higher education in sports needs a rigorous programme. We recognise the fact that people getting attracted to sports are the ones who have less inclination towards academics. Management in itself encompasses coordination, organisational skills, planning, execution, leadership, basic finance, economics, marketing, research methodologies and much more. None of these crucial aspects can be ignored in sports management. Then comes relevant education. Practical and internships are as important as class room studies. Students need to be prepared for practical challenges in the real world and be in a position to change and improve the existing systems to make it more professional in the industry. The third key is Industry relations. In our curriculum at least two days in a week are kept for industrial interaction. This includes separate dissertations, industry projects, interactive sessions with leading sports organisations, professionals and administrators. IS: You have an association with ISDE, Madrid. How will this partnership grow in future apart from the sports management course? What other initiatives have you planned in the similar vertical? GM: Sports education is the first crucial step, for now. There is a future roadmap. ISDE, Madrid, are our curriculum partners. We customize the programme to cater to the Indian sports industry and Indian ecosystem. Going forward, we should ideally be working together to create case studies and ISDE would give us guidance on that front in terms of creating curriculum which is based out of case studies in India. That will be the immediate next step. IS: Please share details about internship experience or international exposures if any provided by GISB? GM: Premier League is one of the many affiliate partners for our programme. We conduct 7- to 10-day study tour where Premier League has agreed to give our students a first-hand experience on how the clubs and the leagues functions. At home, out internship programmes are integrated with various organisations. The 15-month sports management course includes a lot of practical-based industry assignments, including once in a week intense industry-based acting classes to train the students about how to express themselves through the role they are going to play as the leading professionals. IS: Can you please share some studies and data for a better understanding of sports sector in India? GM: Sports industry in India is roughly about $2.5 billion. These not our own research but numbers from secondary research that we come across in the industry reports by KPMG and PwC in the last 3-4 years. A little over $1 billion can be attributed to sponsorship and media spends. Another $500 million is from retail, apparel, equipments and merchandising. Government spends such as Khelo India, Sports Authority of India (SAI) and other infrastructural expenses form a substantial part of the remaining chunk. Around 10% revenue comes from gate collection, training and grassroots. Recently in one of the addresses, Star Sports CEO Sanjay Gupta has claimed that the Indian sports industry will cross $10 billion in 7 to 10 years. I will be pleasantly surprised if that happens. The number appears on a little higher to achieve in this time span. I believe the industry will grow anywhere about 6-10% till the time it hits the inflexion point in 10-15 years from now. Then we may see a huge jump suddenly. IS: You are in charge for a professional sports league franchise. What is your take on the growth and future of professional sports leagues in India? GM: We had only a two professional sports league say 5-6 years ago. Today there are almost 15. Disciplines like volleyball, wrestling, boxing and kho kho have launched or are working towards launching professional leagues. The professional sports league market has huge upscale potential and is going in the right direction to make India a sporty nation. This will also put a demand on skilled and trained individuals over the period. A lot of positive things happening now will prove likewise. IS: Where does India stand in comparison to the global sports industry? GM: The global size for sports events and leagues is estimated to be about $80 billion. We could be somewhere close to a billion. So we are just about 1% of the market size globally. In terms of the number of people and economy size we should ideally be growing and catching up fast with the number there. For example, when we look at the apparel business, the global industry size is about $300+ billion and India right now is at $500 million. Also of this half a billion, 60% comes from exports from the manufacturing hubs in Jalandhar, Ludhiana and Meerut. The rest of the market is a minuscule. But all these market segments in the sports industry, which is currently a small percentage of GDP, are bound to grow and there is a huge potential. IS: What impact IPL makes on other sports leagues like ISL, PKL, PWL or PBL? GM: Talking about the revenue breakdown in the global sports events industry, around 35% is coming from broadcast and media rights, another 35% of sponsorships and 25% from gate collections. In India, the figures are low when it comes to gate collections. If we look at the sponsorship and media spends, which are the two main sources of revenue in Indian sports, the market is about ₹7,000 crores as of 2017, out of which 55-60% is attributed to cricket. That has traditionally been the case and the percentage was, in fact, higher few years back. However, the numbers for other sports have seen an upsurge and will surely make a dent into cricket’s share in the coming years. It would be incorrect to say that the Indian Premier League (IPL) is offering a challenge. Even though cricket has a monopoly in the sponsorship market, the other sports are expected to position themselves better as compared to cricket in the next 3-4 years. It will though take much longer to turn the tides. If we talk about Indian Super League (ISL), the current sponsorship numbers are about ₹200-250 crores per annum. Kabaddi (Pro Kabaddi league) would be lesser than that number. Comparing that with cricket, not just IPL but entire cricket, the sponsorship market is worth ₹4,000+ crores. Based on the recent researches on media value generated by football clubs, it is atleast 3-5 times higher than the sum invested. Not enough corporates are taking that desired lead into other avenues for sports sponsorships. They should start accepting the fact that football and kabaddi are great investments for the media value and eyeballs generated. If the number of corporates increase, then the numbers are definitely going to rise at a much faster pace. Having die-hard football fans, who love their clubs, brings in a lot more value to brands. Corporates can come forward and contribute more because the media value generated is far more than their investment. Secondly, if you look at the Indian sports retail market, cricket is 38% of all the sports goods sold, whereas football is about 8%, badminton is 11%. If you compare, the cricket equipment is more expensive than the football and that explains the lop sided market share in favour of cricket goods. Also, the participation level in football and badminton as compared to cricket is not too bad. The sponsorship numbers for other sports will also catch up with cricket gradually.